The NJ Music Industry Group announced their second Networking Mixer has been scheduled for the evening of Wednesday, April 2nd. Everyone who is a member of the music industry and located in the state of New Jersey is encouraged to attend. The NJ Music Industry Group was created in an effort to establish a New Jersey music community, facilitate and enable networking and interaction among its members, and provide valuable business connections. Their first Networking Mixer took place on the evening of Tuesday, February 11, 2014 and was considered a success by all who attended. To build on that success, and to foster the relationships established at the first mixer, the group has announced that their second Networking Mixer will take place on the evening of April 2nd. The group is open to business professionals involved in the music industry such as musicians, DJs, producers, label reps, bands, artists, remixers, managers, bloggers, promoters, interns, etc, as well as business professionals in related industries that provide services to the music industry such as publicists, graphic designers, videographers, etc. Attendees of the event are encouraged to bring business cards and demos for successful networking. While the event is free to attend, RSVPs are required. 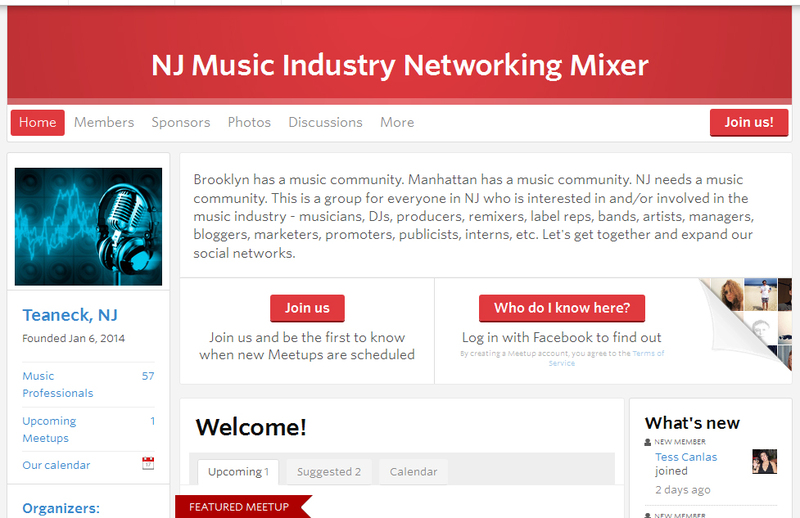 The link to sign up and RSVP can be found here – http://www.meetup.com/NJMusicIndustry/events/167081892/. The New Jersey Music Industry Networking Mixer Meetup Group has announced their first event which has been scheduled for the evening of Tuesday, February 11, 2014 at Poitin Still in Hackensack, NJ. Everyone who is a member of the music industry and located in the state of New Jersey is encouraged to attend. In an effort to establish a New Jersey music community, facilitate and enable networking and interaction among its members, and provide valuable business connections, the first ever New Jersey Music Industry Networking Mixer has been announced. Scheduled for the evening of Tuesday, February 11, 2014 at Poitin Still in Hackensack, NJ, everyone who is involved in the music industry and located in the state of New Jersey is encouraged to attend. RSVPs are required. 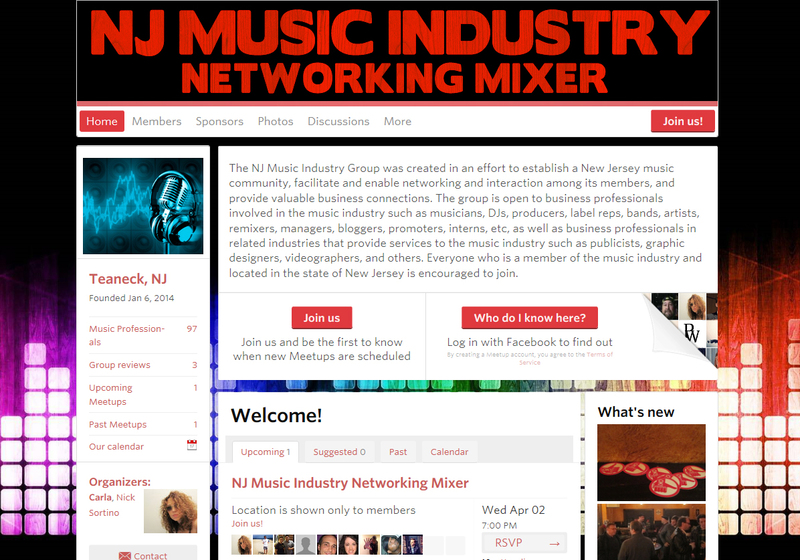 The mixer is the first scheduled event for the newly formed NJ Music Industry Networking Mixer Meetup Group. The group is open to business professionals involved in the music industry such as musicians, DJs, producers, label reps, bands, artists, remixers, managers, bloggers, promoters, interns, etc, as well as business professionals in related industries that provide services to the music industry such as publicists, graphic designers, videographers, etc. Attendees of the event are encouraged to bring business cards and demos for successful networking. Date of event may change to the following week due to impending snowstorm.